Every year, thousands of eager college graduates flock to Wall Street to become entry-level bankers. I shadowed eight new bank recruits after the crash of 2008, and got an unprecedented (and unauthorized) glimpse of the financial world's initiation process. Young Money was a New York Times / WSJ bestseller, NYT Editor's Pick, Amazon book of the month, and an MSNBC "Morning Joe" book club pick, and has been translated into multiple languages. As a sophomore in college, I transferred from Brown University (maybe America's most secular college) to Liberty University, Jerry Falwell's right-wing "Bible Boot Camp" for young evangelical Christians. I spent a semester undercover as a Liberty student, taking classes in creationism, singing in a mega-church choir, and learning some unexpected lessons about faith, tolerance, and compassion. 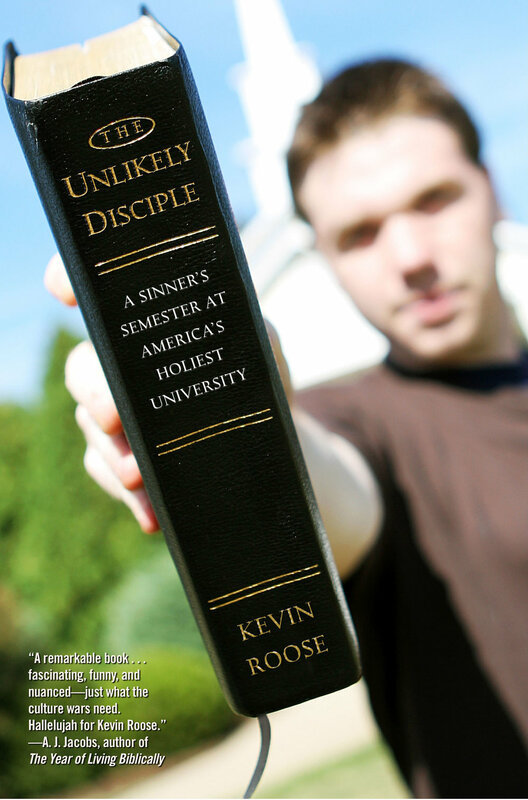 The Unlikely Disciple is the story of my journey.